Poster Size 22 x 28 inches. High quality Giclée print. 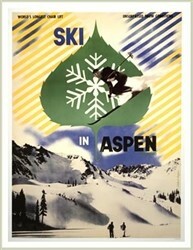 Ski In Aspen poster by Herbert Bayer is one of the first Aspen Mountain posters, from 1946. 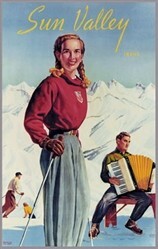 Image shows skiers in Aspen backcountry. Also Available as a Photo in Two Sizes, 8 x 10 or 11 x 14 inches. 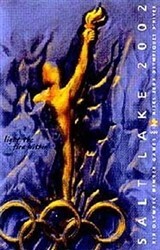 High quality Giclee Print. 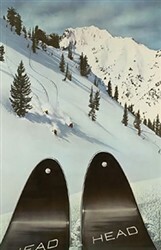 Click here to view: Ski In Aspen by Herbert Bayer Photo. Bayer designed numerous exhibitions for the museum of modern art, including Bauhaus: 1919-1928, road to victory, airways to peace and art in progress. Relocating to Aspen in 1946 with the encouragement of Walter Paepcke, Bayer became the design consultant for the development of Aspen as a ski resort and cultural center, and architect for the aspen institute of humanistic studies. He was also a consultant to the container corporation of America where he conceived of great ideas of western man and world geo-graphic atlas. Bayer also completed the first recorded “earthwork” environment: entitled grass mound in 1955. During his lifetime, Bayer had over 150 one-man exhibitions and seven travelling museum retrospectives throughout the United States and Europe. In addition, there have been over 100 books, articles, essays, museum catalogues, and films dealing exclusively with Bayer’s creativity.